Has your AC stopped working? Time to call B&M Auto Specialists! Living in Texas, especially during the summer months, makes having a working AC in your vehicle an absolute necessity! If your AC has stopped working, we can help. Our ASE certified mechanics can repair your AC. Perhaps that doesn’t apply to you. Thankfully, your AC is working well. That’s great! We will be glad to provide you with regular maintenance services to make sure your AC stays in top working order. Since the heavy rains have stopped, the thermometer continues to rise. And as the mercury rises, our service bays will be packed with cars needing AC repairs and/or servicing. That’s why we recommend that you don’t delay scheduling your appointment. 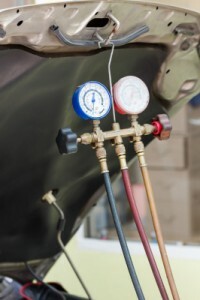 Once you’ve had your AC serviced, you can relax, knowing that your vehicle is ready for the Texas heat. This will be perfect timing. With the children out of school for the summer, you’ll be ready for all those trips to the amusement park, swimming pool and city zoo! After a day out in the sun, your family will be thankful to climb into a car with a working AC! Call now. Our staff will be glad to reserve a service bay for your vehicle.